David Clough spent over 20 years in the private business sector before becoming a licensed Illinois Attorney. His knowledge of the business community, as well as accomplished negotiation skills, offer sharp, effective representation and a unique perspective on complex business matters. Attorney Clough knows that when you or your business are facing the possibility of litigation, it is critical to engage representation that not only has a thorough understanding of the law, but understands your business, your concerns, and the value of long-term relationships, both in and out of the courtroom. David consistently extends respect to his colleagues, and it is because of this that your case will be given the fairest possible treatment in the courtroom. Your legal circumstances will not be the arbitrary recipient of wasteful positioning and attorney vendettas. David Clough received his Juris Doctor from the John Marshall School of Law (Chicago, Illinois), in 2001. He is approximately seven classes short of obtaining his MBA at Dominican University in River Forest, Illinois. 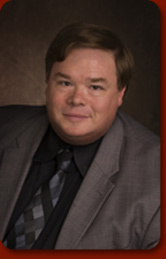 Mr. Clough received his Bachelor of Science degree in 1985 from Purdue University. Attorney Clough holds a number of civic leadership roles in his community, including an appointment to the Board of Directors of such organizations as Flutes! Unlimited and Bethel Church in Evergreen Park, Illinois. David is active in the aviation field, and is a co-owner of a Turbo Cessna 210. He has single engine land and sea (instrument airplane) ratings. He is married, has two children, and resides in the southwest suburbs. Attorney Clough is a current member of the Illinois Trial Lawyers Association, the American Trial Lawyers Association, the Chicago Bar, and the Illinois State Bar Association. He is also a current member of the Nation Transportation Safety Board Bar Association, the Lawyer-Pilot Association, and the Experimental Aircraft Association. David is a panel attorney for the Aircraft Owners and Pilots Association. Mr. Clough’s calm, pragmatic approach to litigation will ease your legal concerns. He listens carefully, and will tell you directly if you have case that that does not bode well for a positive outcome. His professional integrity, solid, trustworthy demeanor, and knowledge of people and small business management enables efficient, cost effective and focused representation for his clients.